I'm not going to lie, I felt quite self conscious posting this before and after photo of my HD Brows, but I really wanted to show the massive difference this had made to my brows. HD Brows are essentially a tailored brow treatment involving tinting, waxing, threading and plucking to get the perfect brow shape. I've been quite self conscious about my brows for some time, and I knew I wanted to get this done. It's around £30 for the treatment, which obviously isn't cheap, but a wax and tint tends to be around £20 so it's not much more! You get a consultation with the stylist beforehand so you can tell them the kind of colour, shape, thickness etc you like. I've had my brows waxed before, but never tinted or threaded, but I didn't have a problem with any of the treatments and didn't think it was particularly painful - coming from someone with a low pain threshold! 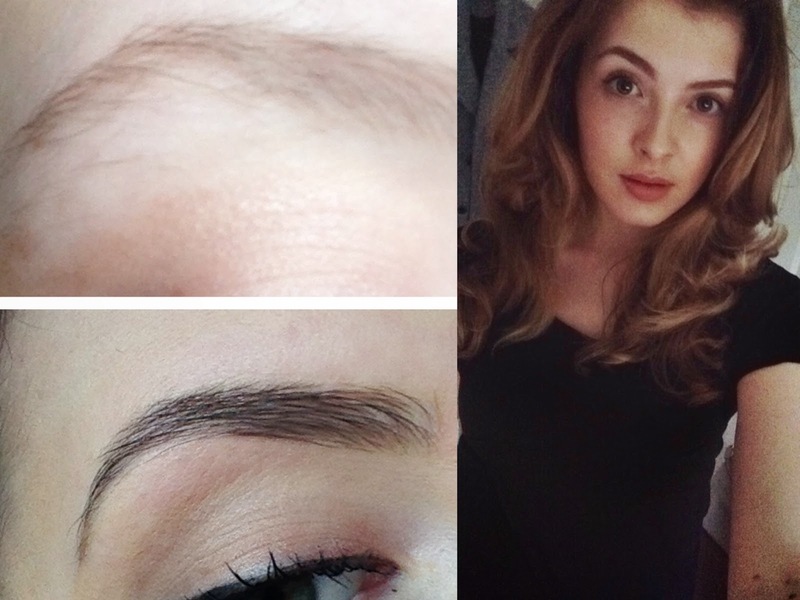 When I was shown my brows at the end, I was absolutely over the moon, and I know I'll be going back for this treatment. It usually lasts around 4-6 weeks depending on how the tint stays on the hair/rate of regrowth. It's made doing my brows so much easier as I can just fill them in slightly with my Anastasia products, rather than totally shaping and drawing in my brows. In the photos above, the top shows my natural brow before the treatment, and the below shows my brow after the treatment with no other brow products in it. I then included a photo from my Instagram the other week showing how they look with the rest of my makeup done. What do you think? Have you ever had HD Brows? Let me know below!